DIY and recycle are two of my favorite words. Projects which involve recycled materials and are do-it-yourself always attract me towards them. I can’t stress enough about thinking of storage ideas while finalizing a kids room design because believe me, a kids room attracts a lot of clutter. There are a ton of cool ideas and amazing products for kids storage in their room but the only downfall is that it can be quite expensive to create storage. But if you are a little creative and farsighted you can create a lot of storage options from recycled materials. 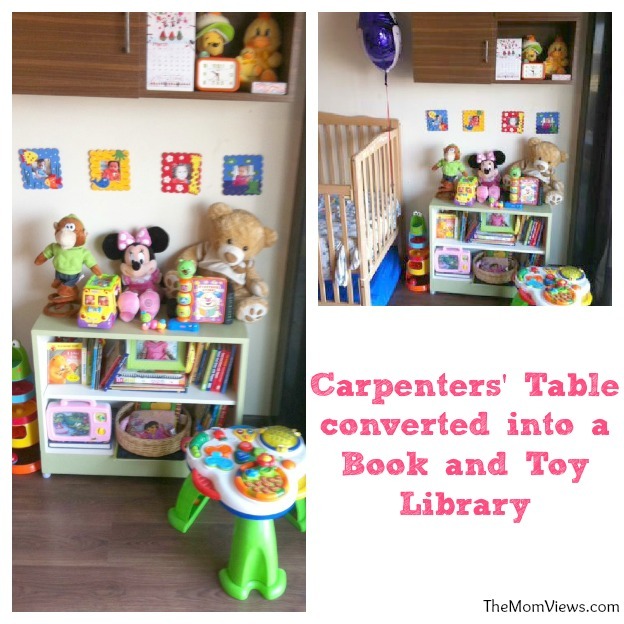 When reader sent me this picture of a carpenter’s table turned library for her daughter, I was floored. Unfortunately there is no before picture so just imagine any old carpenter’s table which was transformed into this. Amazing isn’t it?